Who knew that this woman who once lived so far out in the bush in Canada and had such an impoverished childhood that food and running water was a luxury would grow up to be one of the top selling music artists of all time? I found her childhood story fascinating and not at all what I expected. She overcame a tremendous amount of adversity to get to where she is today. I couldn't imagine how she felt when she was thrust into the role of parent to her siblings in her early 20s due to the tragic passing of her parents. She took on her new role as breadwinner to her smaller siblings and was still able to reach her high goals she set for herself. My only issues with this book are that she seems to me to misdirect her negative feelings in certain situations in life. Her father used to beat her mother to a bloody pulp and Shania seems to think it is because her parents loved each other too much or something. Also, her dad is a big time pervert (feeling her up on at least one occasion and calling her sexually explicit names in another - all of this while she was supposed to be sleeping and defenseless) and Shania pushes that off as perhaps he was sleepwalking or something. Maybe this is the reason why, years later, she blames her then-husband (Mutt Lange) about 0% and his mistress (her ex-BFF, Marie-Anne) about 100% for their affair. It takes two to tango. Yes, Marie-Anne is a nasty homewrecker, but Mutt is a lousy pig of a husband, too. 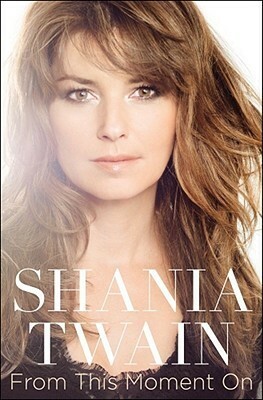 Shania stated in the beginning of the book that she was writing the book so that her son would have an accurate picture of her life, should she pass away early like her parents, instead of reading about her via tabloids. This could be the reason for much of the sugarcoating. Although Shania seems to me to be in quite a bit of denial about how the world works and those that are evil in it, she can sure make some awesome music that is easy to relate to. I will say that I found her book to be really good, especially if you can get past the denial bits (which are really only a small minority in the book). I thought her book was kind of like reading a Laura Ingalls Wilder book - with all the simplicity and pioneering ways of the bush and the humble existence that she and her family led. The book is over 400 pages long and I don't think it was full of filler fluff, except for maybe a small portion at the end. For the most part, I found this book to be a real page turner. I would recommend this book to anyone who had a poor or abusive childhood, as they could easily relate and, of course, to anyone who is a fan of both Shania Twain and autobiographies. Sign into Goodreads to see if any of your friends have read From This Moment On.